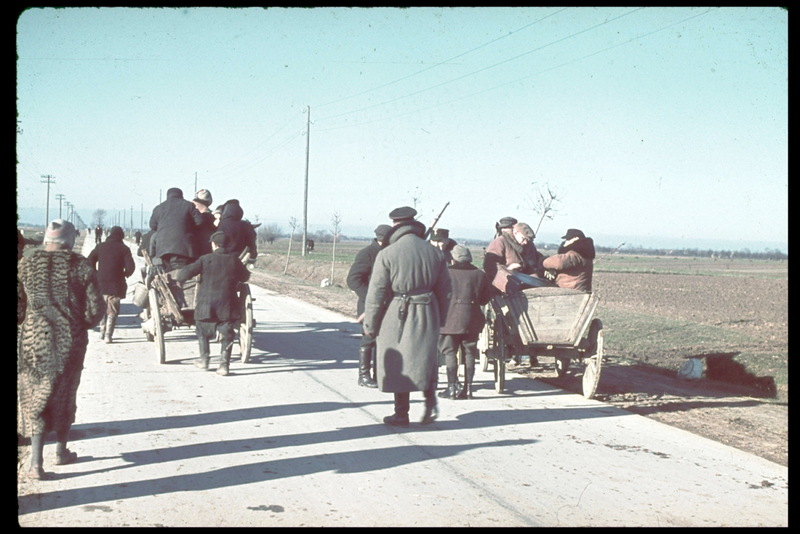 Polish refugees near Warsaw during the German invasion of Poland. When the Wehrmacht entered the Polish territory in September 1939, hundreds of thousands of Jewish and non-Jewish refugees fled the advancing German army into eastern Poland, hoping that the Polish army would halt the German advance in the west. Many of the refugees fled without a specific destination in mind. They traveled on foot or by any available transport—cars, bicycles, carts, or trucks—clogging roads to the east. Most took only what they could carry. Because they had fled so suddenly, few refugees made contingency plans or took the time to prepare adequately for a long journey.